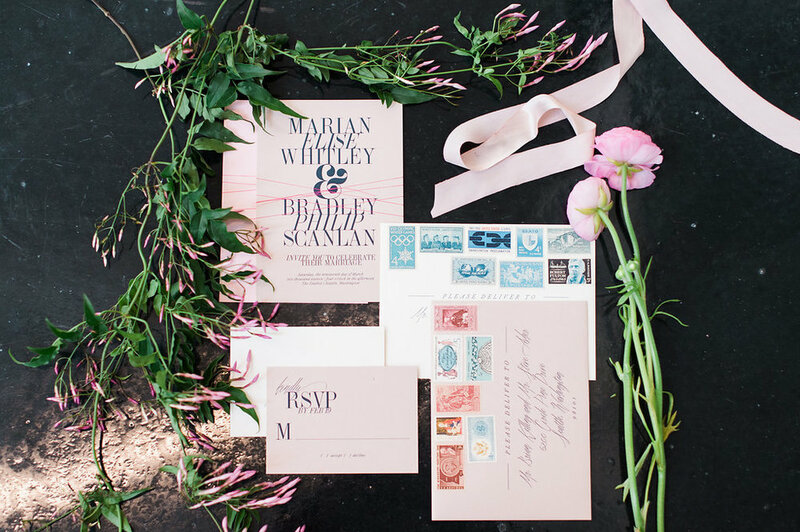 The Pantone 2016 spring colors, Rose Quartz and Serenity, would set the backdrop for this beautiful shoot set at The Studios and in Seattle's streets and these pretty photos by Berryessa Photography would later be seen on Borrowed and Blue. The tulle, satin ribbons and tendus were enough to have this dancer (yeah me, Julie) VERY pleased. One of our favorite custom invitation suites to date! Thank you to LCM Weddings for bringing us in on this beautiful project.